On my trip to the Oregon Coast I visited many of there lighthouse. 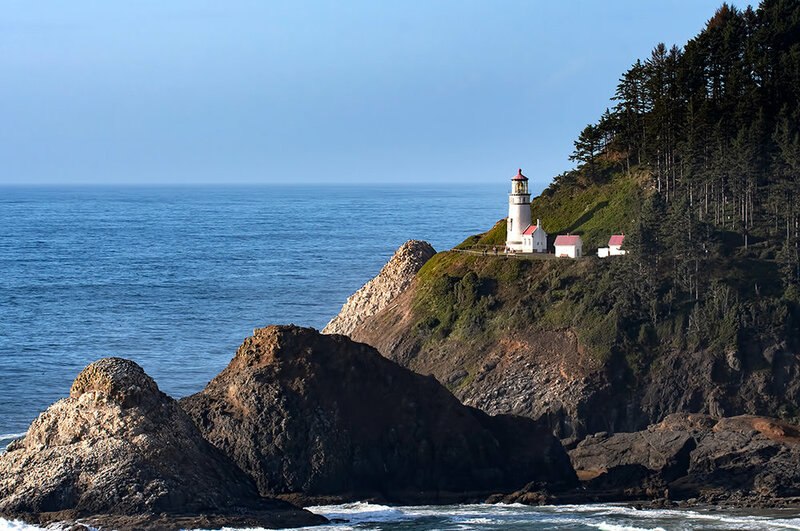 The Heceta Head Lighthouse and Light Keeper’s home are circa 1894. Both are listed on the National Register of Historic Places. The lighthouse is a working lighthouse. From a height of 205 feet above the ocean, its “first order” Fresnel lens, casts it’s beams some 21 miles out to sea. It is the brightest light on the Oregon coast. It is said to be the most photographed lighthouse in the United States.